Augustyńska-Grzymek, I.; Czułowska, M.; Skarżyńska, A.; Żekało, M.; Stalgiene. A. 2015. The view of dairy sector and the economic situation of milk producers in Poland and in Lithuania after accession to the EU. In The Eleventh International Conference:“Challenges of Europe: Growth, competitiveness and inequality”, University of Split Faculty of Economics, Croatia, May 27–29, 2015. 11:307–323. ISSN 1849-25441(online), ISSN 1847-4497 (CD-ROM). [Straipsnis konferencijos medžiagoje ISI Proceedings]. Caruso, D.; Contò, F.; Skulskis, V. 2015. The implementation of measure 121 of the rural development program: Comparative analysis between Italy and Lithuania, In Intellectual Economics = Intelektinė ekonomika 9(2):102–107. doi:10.1016/j.intele.2016.02.001 ISSN 1822-8011, eISSN 1822-8038 [ScienceDirect® is a registered trademark of Elsevier; CEEOL; Central & Eastern European Academic Source (EBSCO sąrašas); IndexCopernicus]. Gedminaitė-Raudonė, Ž.; Eirošius, Š. 2015. Unikalių kultūrinių išteklių vertinimas Lietuvos regionuose, Iš Ekonomika ir vadyba: aktualijos ir perspektyvos 2(37):95-107. ISSN 1648-9098 (Print) ISSN 2424-337X (Online) [Index Copernicus, Leidinys yra pateiktas indeksavimui SCOPUS duomenų bazėje]. Fedotenkov, I. 2014. A note on the bootstrap method for testing the existence of finite moments In Statistica 74(4):447-453. DOI:10.6092/issn.1973-2201/5504. ISSN 1973-2201. [ACNP; BASE; DOAJ; Google Scholar; EZB; JournalTOCs; PLEIADI; Repec; SUMMONS; Ulrich's; Worldcat]. Vilkė, R.; Pareigienė, L.; Stalgienė, A. 2015. Challenges and incentives for corporate social responsibility in the provision of public goods: an agrarian discourse In Rural Development 2015 : Towards the Transfer of Knowledge, Innovations and Social Progress / Proceedings of the 7th International Scientific Conference 19-20 November, 2015, Aleksandras Stulginskis University, Lithuania. 7 p. DOI: http://doi.org/10.15544/RD.2015.120. ISSN 1822-3230, eISSN 2345-0916, eISBN 978-609-449-092-7 [Thomson Reuters (Web of Science), EBSCO (Academic Search Complete]. Knickel, K.; Münchhausen, von, S.; Girgždienė, V.; Skulskis, V. 2015. Managing growth in higher value food chains. In Efficiency and inclusiveness of agri-food chains in Eastern Europe and Central Asia / Proceedings of the workshop atAGRIMBA Network Congress“Smart agribusiness for the society of tomorrow”, Porec, Croatia, 17 and 18 June 2015. FAO 95–110. Eičaitė, O.; Dabkienė; V. 2015. Local food: Lithuanian consumers’ perceptions and attitudes, In Scientific Papers Series Management, Economic Engineering in Agriculture and Rural Development 15(4):65-70. ISSN 2284-7995, E-ISSN 2285-3952. [Copernicus ICV 2013: 6.64; DOAJ; CABI; Ulrich's Periodicals Directory; Google Scholar; PBN (Polish Scholary Bibliography); OCLC (WorldCat); SCIPIO; Citefactor; Research Bible]. Vidickienė, D.; Melnikienė, R.; Ribašauskienė, E. 2015. Kaimo tipo gyvenviečių patrauklumas jaunimui poindustrinėje visuomenėje = Attractiveness of rural settlements for young people in post-industrial society. In Filosofija. Sociologija. 26(4):322–328. ISSN 0235-7186, eISSN 2424-4546. [Arts & Humanities Citation Index; CEEOL; Central & Eastern European Academic Source (EBSCO sąrašas); The Philosophers Index; Social Sciences Citation Index (Web of Science); SocINDEX (EBSCO sąrašas); SocINDEX with Full Text; Sociological abstracts (CSA) core]. Drozdz, J.; Volkov, A. 2015. Food market diversification approach – Lithuanian case, In Zagadnienia Ekonomiki Rolnej 343(2):61-71. DOI:10.5604/00441600.1152133. ISSN 0044-1600 [IndexCopernicus™, CEJSH]. Baležentis, T. 2015. Structural efficiency in Lithuanian family farms, In Management theory and studies for rural business and infrastructure development = Vadybos mokslas ir studijos – kaimo verslų ir jų infrastruktūros plėtrai37(4): 462–479. DOI:10.15544/mts.2015.39 (ISSN 1822-6760 (print) / ISSN 2345-0355 (online)). [EBSCO, Business Source Complete, Ulrich’s, DOAJ, OAJI, IndexCopernicus, ERIH PLUS and AcademicKeys.com.]. Kuliešis, G.; Pareigienė, L. 2015. Investigation of the demand of public services of rural areas, In Management theory and studies for rural business and infrastructure development = Vadybos mokslas ir studijos – kaimo verslų ir jų infrastruktūros plėtrai 37(4): 521–531. DOI:10.15544/mts.2015.44 (ISSN 1822-6760 (print) / ISSN 2345-0355 (online)). [EBSCO, Business Source Complete, Ulrich’s, DOAJ, OAJI, IndexCopernicus, ERIH PLUS and AcademicKeys.com.]. Kuliešis, G.; Pareigienė, L. 2015. Determinants of population trends in rural areas, In Management theory and studies for rural business and infrastructure development = Vadybos mokslas ir studijos – kaimo verslų ir jų infrastruktūros plėtrai 37(4):532–540. DOI:10.15544/mts.2015.45 (ISSN 1822-6760 (print) / ISSN 2345-0355 (online)). [EBSCO, Business Source Complete, Ulrich’s, DOAJ, OAJI, IndexCopernicus, ERIH PLUS and AcademicKeys.com.]. Jurkėnaitė. N. 2015. 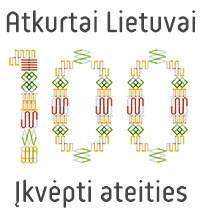 Support and viability issues: Lithuanian farmers’ verdict, In Research for rural development 2015, Annual 21st International Scientific Conference Proceedings, Latvia University of Agriculture, in Jelgava, on 13 to 15 May 2015, 2:191–196. eISSN 2255-923X, ISSN 1691-4031. [AGRIS; CAB ABSTRACTS; CABI full text; EBSCO Academic Search Complete; Thomson Reuters Web of Science; SCOPUS]. Gumbyte, M.; Kreivaitis, R.; Balezentis T. 2015. Enzymatic synthesis of a-propylene glycol with (9z)-octadecenoic acid by lipolytic enzyme, In BALTTRIB' 2015 VIII International Scientific Conference Aleksandras Stulginskis University Kaunas, Lithuania 26-27 November 2015, 44–49. ISSN 1822-8801. Melnikienė, R., Vidickienė D. 2015. The role of systems and evolutionary approaches to agricultural and rural policy measures: lessons from Lithuania, In Економика АПК 10:73-82. ISSN 2221-1055. Сталгиене, A.; Едик, A.; Гинейтиене, З. 2015. Возможности конкурентоспособности пищевой промышленности в Литве In Perspectiva academică / Международная научная конференция состоялась в университете "Перспектива - INT" на тему "Развитие высшего образования, демократического общества и рыночной экономики в европейском контексте. Выпуск II ", с 16 по 17 апреля 2014 года, Кишинев университет" Перспектива-ИНТ ", 2015. 5:228–240. ISBN 978-9975-4061-8-5, ISBN 978-9975-3045-5-9. Kriščiukaitienė, I.; Namiotko, V.; Kripaitis, R. 2015. The evaluation of the impact of support on Lithuanian farms investments. Management theory and studies for rural business and infrastructure development = Vadybos mokslas ir studijos – kaimo verslų ir jų infrastruktūros plėtrai 37(3):399–405. DOI:http://dx.doi.org/10.15544/mts.2015.34 (ISSN 1822-6760 (print) / ISSN 2345-0355 (online)). [EBSCO, Business Source Complete, Ulrich’s, DOAJ, OAJI, IndexCopernicus, ERIH PLUS and AcademicKeys.com.]. Løes, A-K.; Dýrmundsson, O. R.; Kreismane,D. ; Mikkola, M.; Pehme, S.; Rasmussen, I. A.; Skulskis, V.; Wiwstad, M. 2015. The organic sector in the Nordic-Baltic region – what is achieved, and what is challenging further growth? In Zeverte-Rivza S. (Ed.). 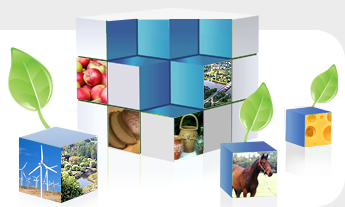 Nordic view to sustainable rural development, Proceedings of the 25th NJF Congress, Riga, June 16-18, 2015. pp. 79–84. ISBN 978-9934-14-548-3 (printed), ISBN 978-9934-14-549-0 (PDF) [Conference Proceedings Citation Index]. Котеев С.В. ; Юркенайте Н.; Егоров А.Ю. 2015. Формирование институциональной и правовой основ рынка органической продукции как ключевой фактор его жизнеспособности и развития (на примере России и Литвы) In Агропродовольственная политика 2:35–38 ISSN 2227-0280 [Журнал включен в перечень российских рецензируемых научных журналов ВАК РФ, AGRIS]. Kriščiukaitienė, I.; Baležentis, T.; Galnaitytė, A.; Namiotko, V. 2015. A Methodology for Flood Risk Appraisal in Lithuania, In Journal of Water and Land Development 2015, No. 25 (IV–VI):13–22. DOI: 10.1515/jwld-2015-0008. ISSN 1429–7426 [AGRICOLA, AGRIS, AGRO, CABI–Agricultural Economics Database, EBSCO– TOC Premier, Elsevier–SCOPUS, Index Copernicus, ProQuest (http://www.degruyter.com/view/j/jwld)]. Kuliešis, G.; Pareigienė, L. 2015. The development of rural residents social portrait in 2001–2011. Management theory and studies for rural business and infrastructure development = Vadybos mokslas ir studijos – kaimo verslų ir jų infrastruktūros plėtrai 37(2):231–240. DOI:http://dx.doi.org/10.15544/mts.2015.21 (ISSN 1822-6760 (print) / ISSN 2345-0355 (online)). [EBSCO, Business Source Complete, Ulrich’s, DOAJ, OAJI, IndexCopernicus, ERIH PLUS and AcademicKeys.com.]. Makutėnienė, D.; Baležentis, T. 2015. The trends of technical, environmental and resource efficiency across agricultural sectors of European countries. Management theory and studies for rural business and infrastructure development = Vadybos mokslas ir studijos – kaimo verslų ir jų infrastruktūros plėtrai 37(2):241–251. DOI:http://dx.doi.org/10.15544/mts.2015.22 (ISSN 1822-6760 (print) / ISSN 2345-0355 (online)). [EBSCO, Business Source Complete, Ulrich’s, DOAJ, OAJI, IndexCopernicus, ERIH PLUS and AcademicKeys.com.]. Aleknevičienė, V.; Skulskis, V.; Šarauskis, E.; Kriaučiūnienė, Z.; Šakickienė, A. 2015. Taikomųjų kaimo plėtros mokslinių tyrimų poreikis Lietuvoje. Management theory and studies for rural business and infrastructure development = Vadybos mokslas ir studijos – kaimo verslų ir jų infrastruktūros plėtrai 37(2):155–166. DOI:http://dx.doi.org/10.15544/mts.2015.14 (ISSN 1822-6760 (print) / ISSN 2345-0355 (online)). [EBSCO, Business Source Complete, Ulrich’s, DOAJ, OAJI, IndexCopernicus, ERIH PLUS and AcademicKeys.com.]. Baležentis, T.; Li, T.; Baležentis, A. 2015. The trends in efficiency of Lithuanian dairy farms: a semiparametric approach. Management theory and studies for rural business and infrastructure development = Vadybos mokslas ir studijos – kaimo verslų ir jų infrastruktūros plėtrai 37(2):167–178. DOI:http://dx.doi.org/10.15544/mts.2015.15 (ISSN 1822-6760 (print) / ISSN 2345-0355 (online)). [EBSCO, Business Source Complete, Ulrich’s, DOAJ, OAJI, IndexCopernicus, ERIH PLUS and AcademicKeys.com.]. Mu, Z.; Zeng, Sh. ; Baležentis, T. 2015. A novel aggregation principle for hesitant fuzzy elements, In Knowledge-Based Systems 84:134-143. ISSN: 0950-7051. doi:10.1016/j.knosys.2015.04.008. [Abstracts in Artificial Intelligence, CompuScience, Computer Literature Index, Current Contents, Current Contents/CompuMath, INSPEC Computer and Control Abstracts, Research Alert, SCISEARCH, Science Citation Index, Zentralblatt MATH, PsycINFO, Scopus]. Baležentis, T. 2015. The Sources of the Total Factor Productivity Growth in Lithuanian Family Farms: A Färe-Primont Index Approach, In Prague economic papers 24(2): 225-241. ISSN 1210-0455 [Prague Economic Papers is indexed in Thomson Reuters products: Social Sciences Citation Index, Social Scisearch and Journal Citation Report/Social Sciences Edition, in Elsevier's A&I database Scopus, in EconLit and RePEc/EconPapers electronic databases]. The current PEP Impact Factor is 0.208. Balezentis; T. 2015. The impact of time series expansion in non­parametric analyses of efficiency effects, In Proceedings of the 2015 International Conference “Economic science for rural development”, Jelgava, LLU ESAF, 23-24 April 2015. 37: 35-44. ISSN 1691-3078, ISSN 2255-9930 on line, ISBN 978-9984-48-180-7 [Abstracted / Indexed: ISI Web of Science, AGRIS, CAB Abstracts and EBSCOHost Academic Search Complete databases]. Balezentis; T.; Makuteniene, D. 2015. Resource use and productivity in agriculture across the European Union member states, In Proceedings of the 2015 International Conference “Economic science for rural development”, Jelgava, LLU ESAF, 23-24 April 2015. 37: 45-53. ISSN 1691-3078, ISSN 2255-9930 on line, ISBN 978-9984-48-180-7 [Abstracted / Indexed: ISI Web of Science, AGRIS, CAB Abstracts and EBSCOHost Academic Search Complete databases]. Baležentis,T. ; Kriščiukaitienė, I. 2015. The factors of milk revenue change in Lithuania: index decomposition analysis based on the Shapley value. Management theory and studies for rural business and infrastructure development = Vadybos mokslas ir studijos – kaimo verslų ir jų infrastruktūros plėtrai 37(1):8–16. DOI:http://dx.doi.org/10.15544/mts.2015.01 (ISSN 1822-6760 (print) / ISSN 2345-0355 (online)). [EBSCO, Business Source Complete, Ulrich’s, DOAJ, OAJI, IndexCopernicus, ERIH PLUS and AcademicKeys.com.]. Kriščiukaitienė, I.; Namiotko, V.; Koç, A. A. 2015. The assessment of agricultural sector in Turkey and selected EU countries. Management theory and studies for rural business and infrastructure development = Vadybos mokslas ir studijos – kaimo verslų ir jų infrastruktūros plėtrai 37(1):95–102. DOI:http://dx.doi.org/10.15544/mts.2015.09 (ISSN 1822-6760 (print) / ISSN 2345-0355 (online)). [EBSCO, Business Source Complete, Ulrich’s, DOAJ, OAJI, IndexCopernicus, ERIH PLUS and AcademicKeys.com.]. Stalgienė, A.; Jedik, A. 2015. Oligopsoninė galia žemės ūkio produktų rinkoje: Lietuvos žalio pieno rinkos atvejis. Management theory and studies for rural business and infrastructure development = Vadybos mokslas ir studijos – kaimo verslų ir jų infrastruktūros plėtrai 37(1):114–121. DOI:http://dx.doi.org/10.15544/mts.2015.11 (ISSN 1822-6760 (print) / ISSN 2345-0355 (online)) [EBSCO, Business Source Complete, Ulrich’s, DOAJ, OAJI, IndexCopernicus, ERIH PLUS and AcademicKeys.com. ].